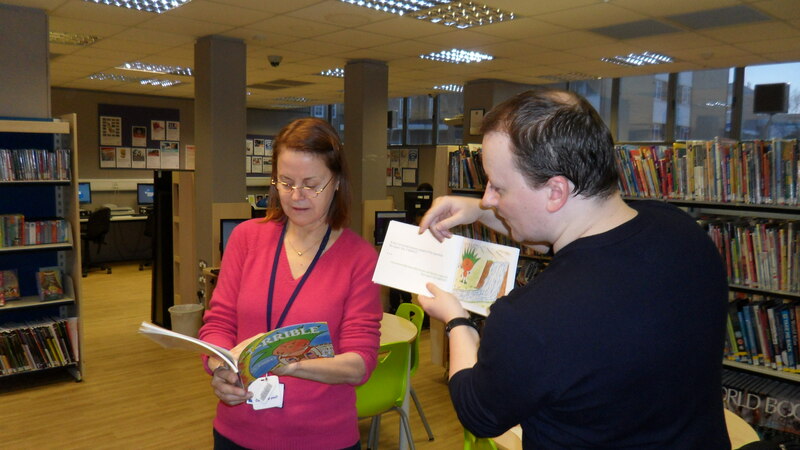 On Friday 23 January we had a bilingual storytelling event here at Kensal Library. Mr Paquet was joined by member of staff Silvia Sousa and together they provided a very enjoyable story session of Mr Paquet’s book ‘The T-RRIBLE‘. Mr Paquet read the story in English and Silvia then interpreted the story into Portuguese. Through his books Mr Paquet aims to promote literacy and bilingualism around the world, fun learning and a positive attitude towards reading, inspiring the next generation of young readers and writers. The children who attended the event loved the story and were delighted to have the chance of winning a medal for the best copy of the character in the ‘T-RIBLE’. I have to say that the drawings the children made were really exceptional and Mr Paquet was very impressed saying the children had given him some new ideas! We hope to have Mr Paquet attend another bilingual storytelling event in the near future, so watch this space! 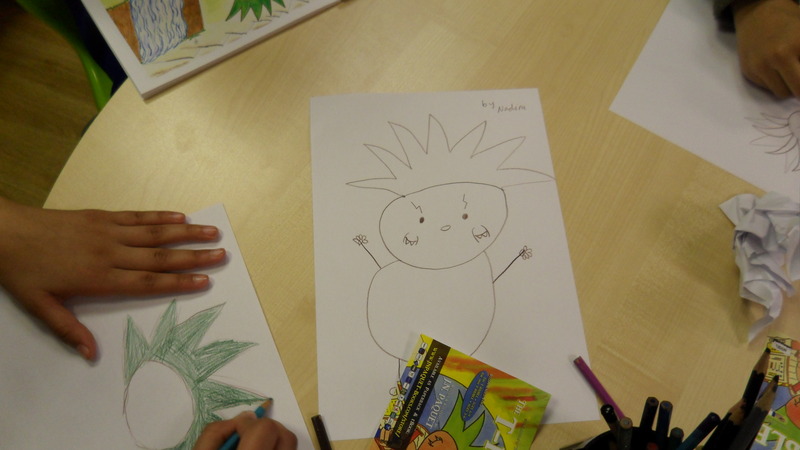 It feels like an age since it was all arranged but we finally had our first bilingual story event for children today! With the French lycéé just down the road and a large French community locally, it made perfect sense to bring them into the library. The author JN Paquet came to read one of his books, The t-rrible, a great story about how being bilingual is special and the bilingual hero saves the planet! The children were really engaged with the story, jumping up and down one minute then listening hard the next. After the story there was a competition to draw the main character and, although everyone got some stickers, we had three, proud gold medal winners. Please join us for more bilingual storytelling in March: take a look at our events page for children for more details!